Back to the March trip to the Somme - seems years ago now that we were enjoying temperatures of 70 deg!! As usual the so called 'Iron Harvest' was in evidence so a few pictures of unexploded ordnance we came across. Above are two shots of shells looking towards the infamous High Wood - bottom photo is looking down Wood Lane. Above three - top photo shows a couple of shells and a so called 'Toffee Apple' mortar round - the British 2" mortar which fired a 60lb bomb in the shape of a steel ball approx 9 inches diameter. 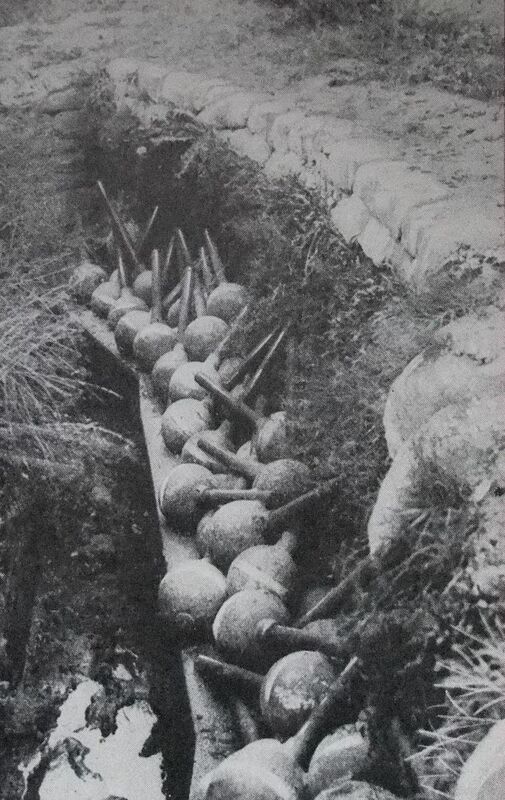 Middle photo shows a dump of 'toffee apples' during the War while bottom photo shows the mortar itself. Above: A mixture of Stokes 3" mortar rounds and shells. Note the German 'Butchers' bayonet. Bottom photo shows the British Stokes 3" mortar. I have been doing a bit of work on these two gun emplacements recently. Each gun emplacement contains its own sunken command post / crew shelter and ammunition lockers as well as lockers in the gun pit itself. The first reference I can find of the emplacements is from 1941, manned by a detachment from 10 / 1st Super Heavy Regt. 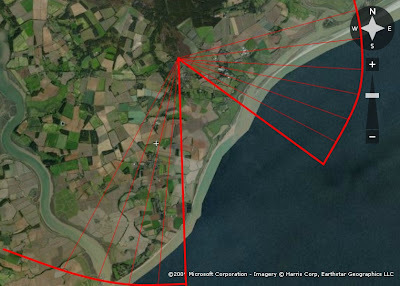 The task of the guns was to enfilade the beaches and cover the entrance to the Deben Estuary. As usual the there is the accompanying piles of rubbish and litter. both gun positions are also overgrown to some extent, one much more than the other. Above shows the arc of fire to enfilade the beaches - note the 'blind spot. The guns had a range of 14,000 yards. 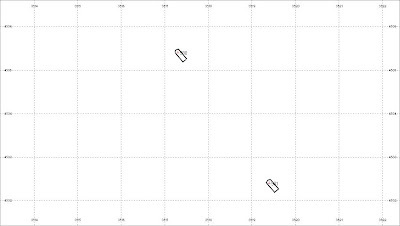 Bottom: GPS plan showing location and orientation of the two gun sites. 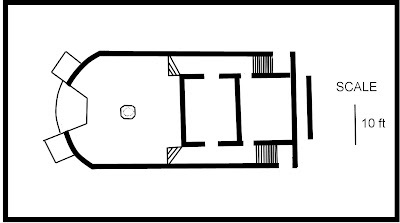 The photos below (from the best of the two positions) show the gun pits with the holdfast and ammunition lockers. Note the lumps of what appear to be slag iron set into the concrete roof on the bottom photo - this would have been done to attempt to camouflage the battery by hiding the 'shine' from the concrete which would otherwise stand out on any aerial photo. Next series of images shows the sunken Command Post / ammunition lockers. In the bottom photo again note the slag iron (or what ever it is) incorporated into the concrete roof for the purpose of camouflage. The last two photos are of the second gun position which is much more overgrown than the first. On the way up to Ashby HAA Site last Sun, stopped off at this Type 22 pillbox. It controls a crossing over the Hundred River - although not on a Stop Line designated by 11 Corps, local commanders were expected to man the line Hundred River from Benacre to Beccles. This pillbox is one of several in the area that incorporates a lower level embrasure for the Boys anti-tank rifle. Although I must admit it is one of nicest pillboxes I've seen I cannot help but think it is one of the worst sited that I've seen. Its location is obvious and it would appear from the photo of the field of fire from the Boys anti-tank rifle embrasure, the pillbox was sited so that the rifle would engage enemy Armoured Fighting Vehicles head on - i.e. at the point they were most strongly armoured! Jarvis (2002) has also pointed out another fault with this pillbox. 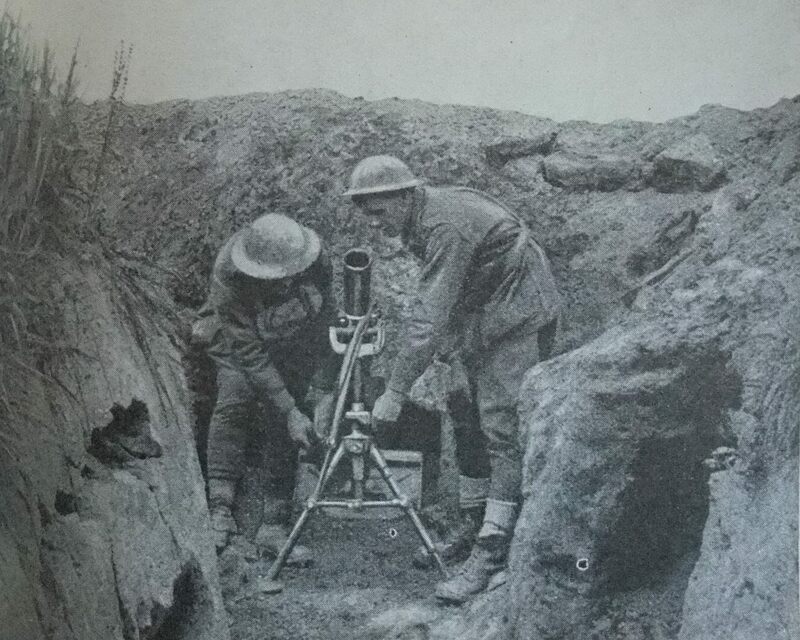 Normally the Boys anti-tank rifle embrasure was offset to the main embrasure so that any riflemen manning the embrasure would not be shot in the shin (see the photo of the pillbox at Beccles). However in this pillbox it is directly in line with the main embrasure. Image 1& 2: Pillbox at Hundred River Crossing; image 2 shows field of fire of Boys anti-tank rifle. Image 3: Similar designed pillbox at Beccles but note offset lower embrasure. Still though it is always nice to come across pillboxes such as this one, in a nice setting and in good condition. A break from Somme posts - back to WW2. This Sun I had a trip up to see this HAA, seeing I have started to add some AA details to the main website. This site was part of the Yarmouth Gun Defended Area and was established in 1941, first with mobile 3.7" guns but these were soon replaced with statics and equipped with Gun Laying radar. It was located to the north of Lowestoft, no doubt to protect against any enemy aircraft approaching the town from the north and also probably to protect Fritton which was I think was used to store Depth Charges by the Navy. It later provided HAA protection for Fritton Lake during 79th Armoured Division's trials with DD Tanks from 1943 onwards. Above: Ashby HAA site today. 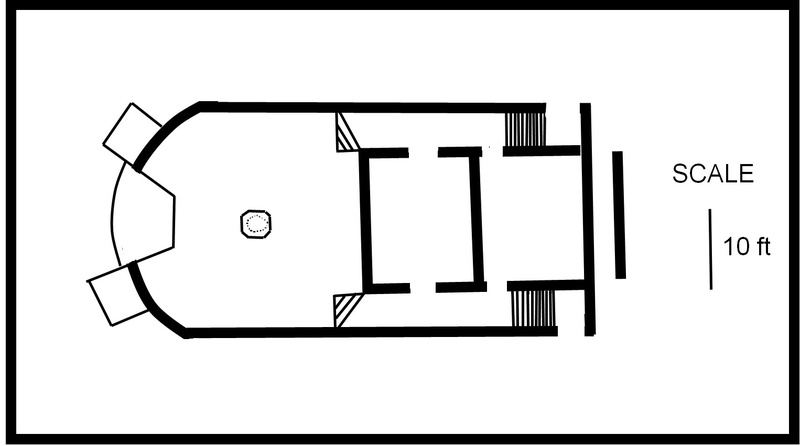 The site is typical of the 1941 layout for static HAA sites with both the 1941 gun pit and Command Post designs. Quite a lot of the site still survives today including all four gun pits, the Command Post, hard standings and two BCF Huts from the domestic site. It is really sad to see the site slowly being buried by old straw bails, manure and other farm rubbish. Image 5: A room like this is on either side of the Post - the steps lead up to the area where the Predictor, Spotting Scope etc were located. 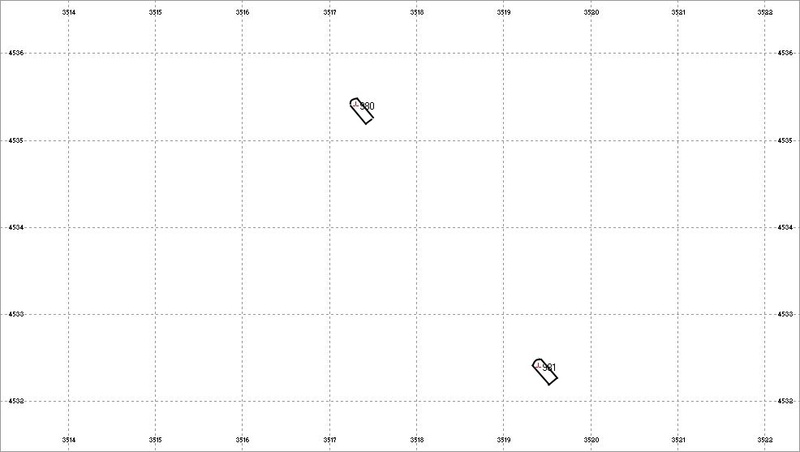 Next set of images show the gun pits - these are the 1941 design and incorporated shelters for the gun crew. Image 4 &5 : Huts were located along the line of the hedge row and remains of the bases can still be seen. We had a couple of brief visits to the French Sector of the Somme battlefields. I must admit we don't visit the French sector as often as we should but this is largely due to the lack of information published in English about the French contribution to this battle. Until recently the only real information was the Michelin Guide 'The First Battle of The Somme' published in the inter-war year!. Recently some authors are now beginning to put the battle in context by considering both the French and German involvement (e.g. W Philpott's 'Bloody Victory' and R Whitehead's 'The Other Side Of The Wire'). On the German side we visited Bois Y. This wood projected from the German front line and covered the position immediately north of the Somme river. 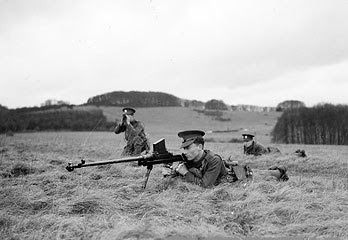 The Germans had turned it into a strong redoubt packed with machine guns that could bring enfilade fire onto attacks from the north and south. This was the objective of the French 79 Regiment d'infanterie on July 1st. The French guns had done their work well, the German wire fully cut and trenches pulverised. The French infantry were through the German front position in 20 minutes, with only feeble German resistance encountered. This contrasts starkly with the progress of most of the British infantry on July 1st 1916, largely as a result of more heavy guns employed than the British and better fire and movement tactics (the French had learned their lessons from costly attacks in 1915 and the British were quick to learn from the disaster of 1st July). Image 2: Bois Y which overlooks the Somme River Valley. The back of the wood plunges down into a ravine. 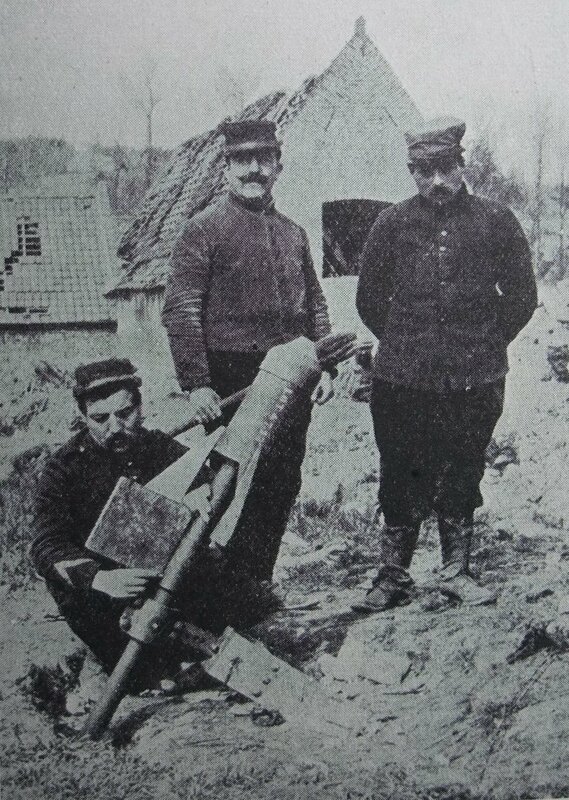 Image 7: French troops setting an aero-torpedo before launching. 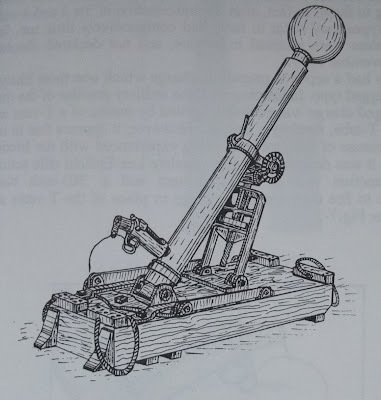 A cylinder attached to the shell fits into the tubing which forms the barrel of the gun and receives the propulsion from the discharge. It had a range of 350 mtrs. Remains of the cylinders littered Bois Y and the nearby ploughed fields. 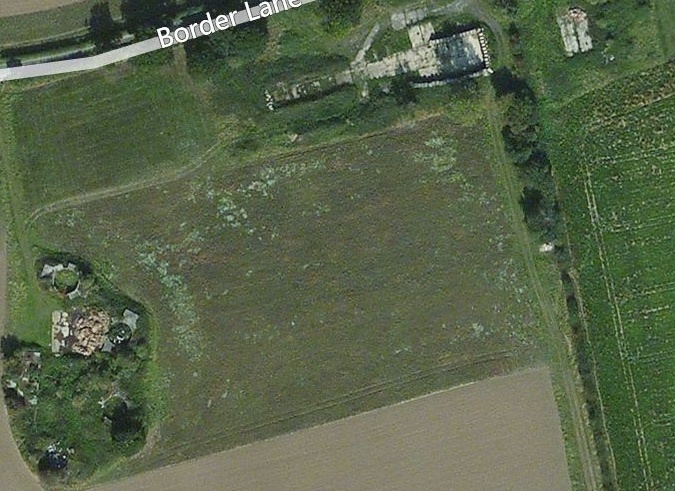 Nearby can be seen some French trenches, also in woodland which drops down into a ravine. 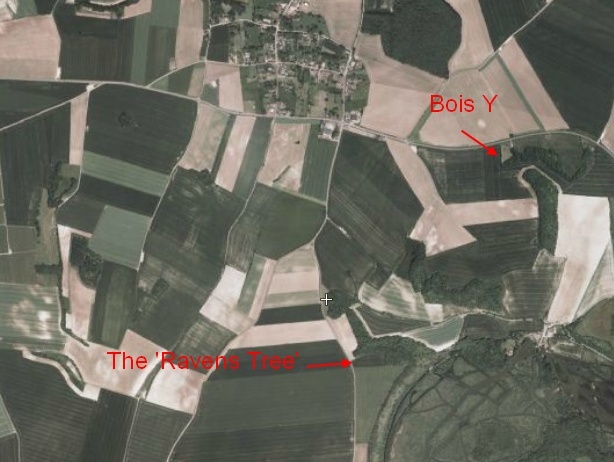 There is a local legend associated with a tree that survived the War unlike the wood which was decimated - the tree is locally known as 'The Ravens Tree' although technically speaking I think it should be 'The Rooks Tree' as Ravens don't breed in this part of France! Image 3: Remains of dugout in nearby wood. Image 4-6: Remains of trenches in nearby wood.